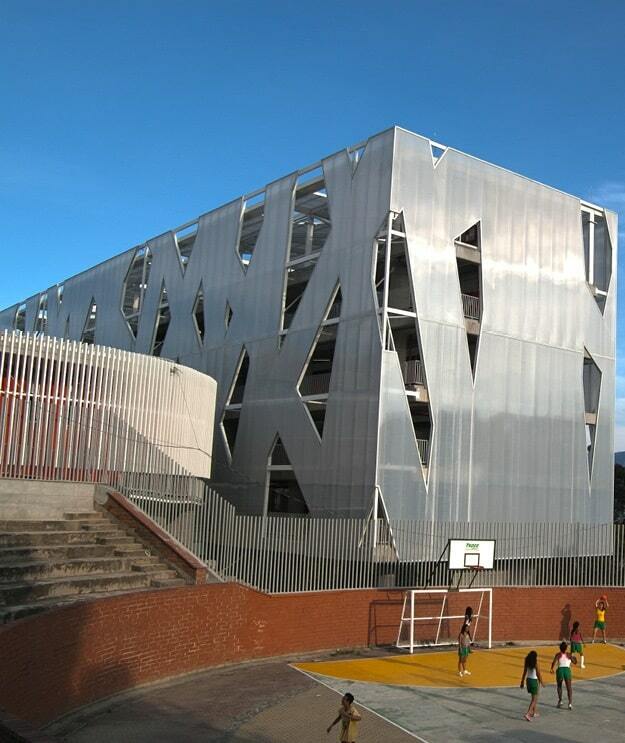 155 WEST quickly became singled, out as a landmark project for us at Danpal in South Africa. This prestigious redevelopment, located on Sandton’s commercial axis, is close to major transport routes and key attractions. 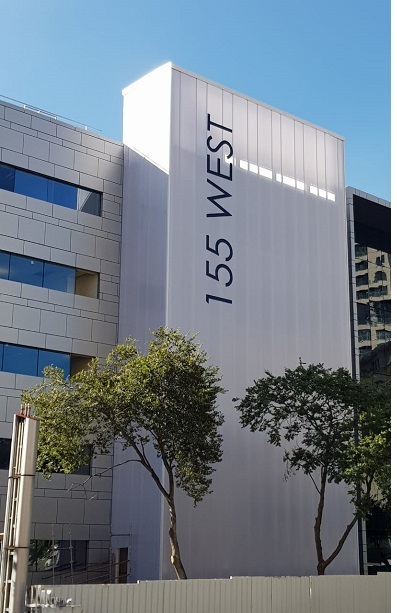 155 West Street has been cleverly redefined through an ideal fusion of form and function. The landscaping includes serene pause areas under already established trees. The 25 000sqm of prime mixed-use office space, is fully customizable and intelligently integrated with world-class facilities and amenities. The building, originally the headquarters for the Discovery Group in South Africa, was earmarked to be substantially upgraded for its new main tenants. As a part of the upgrade, the architectural team at Paragon Group had envisioned an end result, which included the use of more natural daylight. The team spurred on by Stephan Potgieter from Redefine Properties, also wanted to create a brilliant nighttime light-box effect. The team of developers and architects then turned to Danpal, in a bid to find out exactly what it is we could deliver. Fortunately, we had already established a good relationship with key members of this team, and so, we could start the process of design and development with confidence. Together with our specialist installer, we provided a specification that could not be matched elsewhere. The specification included 1200 sqm of both DP22600 and DP22900 delivered in 12m, 15m, and 22m lengths. The framing elements made use of our AirPT system, the connections relied on our free-expansion connectors and a special combination derived from our VRS corner was developed. To help create the lightbox effect required, we decided upon a combination of Ice with SoftLite on the exterior of the panel. This color/finish choice, also enabled the introduction of the asked for natural daylight, whilst still minimizing the potential heat gain. So what makes this project so special..? Well, the fact that all of the above details were a first for Danpal in South Africa! The fact also, that this property is recognized by Redefine Properties as a Flagship, which they entrusted to us – over a glass-based glazing solution. Finally, the fact that Danpal produced, delivered and provided technical assistance in record time, ultimately saving the project. You might think that your roofing system is solely confined to the building beneath it, and that all roofing systems are the same. 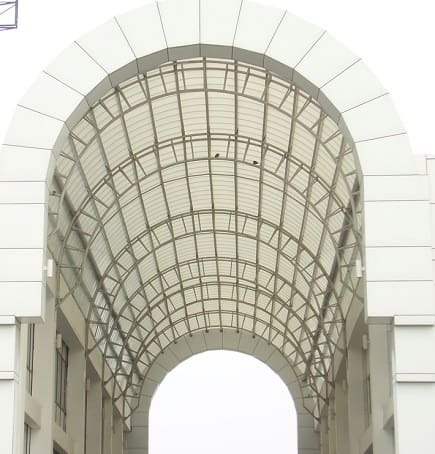 But at Danpal, where our motto is Global Vision, Local Focus, we know that roofing systems are all part of the structural environment of our world. At Danpal, we design products and materials that provide the best protection a roofing system can deliver for your building. Our products are also developed with the goal of protecting the environment. This twofold approach may be unique in the building industry, but it’s how we do business. Your roof is the first point of contact when weather strikes, and just as frontline troops bear the brunt of an attack, a roofing system is where the battle between weather and your building begins. Remember that, while weather can deliver a varied assault that consists of scorching sunlight, or pouring rain, damaging winds or freezing snow, a building must be able to withstand all of these different weather forces while using the same, unchanging defense. Your roofing system has to be able to keep the different manifestations of weather from penetrating the inside of the building. Danpal roofing systems, with their double-tooth, grip-lock connection, have the strength and endurance to resist the hail, winds, rain and snow that attack it. Outside of the building, a battle is raging, but your roofing system has the means to defeat the foe. Inside, you’re dry and comfortable. The roofing system’s role in the mission to protect the environment has become much more proactive since stricter regulations have been imposed by federal governments. Those regulations determine the choices that are available in adhesives, sealants, and coatings, and they’re a direct result of greater awareness of how our role as stewards of the environment decides what products are safe to use. The R-value of a material is the measure of its resistance to heat flow. The higher the R-value, the better the insulating power of the material. The “R” values of roofing insulation have almost tripled in recent decades, showing how technological advances, combined with today’s tougher standards, have redesigned roofing systems that don’t hurt the environment. Danpal has a business presence on five continents, making us aware firsthand of the fragility of the land upon which we live. That awareness is a driving force in our commitment to serve our customers with products that meet their needs and don’t inflict damage on the planet. It’s important to remember, when making your building material choices, that if you buy quality products, you’ll end up with a quality performance from your roofing system. It might be tempting to purchase cheaper products of inferior quality, but if you do, you’re merely postponing problems. Those are the kinds of problems that lead to repairs, which are going to end up costing much more money in a short time. When selecting the roofing system that will last, you benefit from opting for quality and superior performance. The results will save you money. 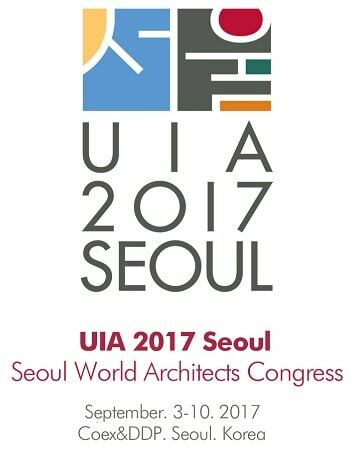 As architects from all over the world flock to South Korea for the UIA 2017 Seoul World Architects Congress, Danpal® is proud to announce that Mr. Han Young Keun, the Chairman of the Korean Institute of Architects, will appear at the conference as an invited speaker. From September 3-10 at Seoul’s COEX Convention Center and Dongdaemun Design Plaza (DDP), an estimated 30,000 participants from all over the world will take part in the Union of International Architects (UIA) World Congress, a forum for professional and cultural exchange for the men and women who design the buildings that define the globe’s structural landscape. The conference will be held at the convention center’s 3F Hall C; the Danpal stand is F15. Launched in 1948, the congress, which was first held in Lausanne, Switzerland, has been held 25 times; Seoul was honored with the hosting of the 26th UIA World Architects Congress. Each event focuses on a particular theme that has been inspired by eminent international representatives from the architectural, construction, and planning fields. The theme for the Seoul conference is Soul of the City. The choice of Seoul as the site of the congress is a reflection upon the city’s unique features which blend the legacy of its 5,000-year history with its dynamic modern identity. Seoul has been recognized as a Creative City of Design by UNESCO for its rich cultural heritage and the creative policies which support architectural development. With more than 30 years of experience in offering esthetic solutions for architects, Danpal® is particularly well suited to take part in this year’s conference. Our company, serving architectural needs on five continents, has supported a multitude of innovative projects all over the world. By choosing Danpal® for your architectural vision, you are choosing from a rainbow of light to select just the right paneling system possessing peerless diversity and a level of creativity that inspires architects and their clients alike. Danpal® is well regarded in the industry for the quality of its products and we look forward to seeing many of the architects, owners, and contractors at the conference that we’ve had the pleasure of working with in the past. For the attendees, the congress is a unique opportunity to network with colleagues, friends, and students, who come to share in the debates, enjoy the exhibition, and take part in the various tours and festivals that make the UIA the perfect meeting place. The International Union of Architects is a non-governmental, global organization comprised of the national associations of architects. The goal of the UIA is to unite the architects of the world. The history of the past conferences demonstrates the success of this mission. From the 27 delegates who attended the founding conference in Lausanne in 1948 to its current roster of organizations from 124 countries and territories, UIA now represents more than one million architects of diverse nationalities and backgrounds. As the world becomes truly global, so do its buildings and the creative impulses that mark a structure in one part of the world can eagerly be adapted to suit the geography of another region. Architects are diplomats with blueprints and the world that they build is one which reflects the latest research in sustainability, environmental awareness, and the timeless beauty of the structures in which we work, study, entertain and live our lives. Looking forward to see you in Danpal stand – F15 at the convention center’s (3F, Hall C). Curtain wall systems are coverings that are placed over the exterior of your building to offer them the protection and security they need. These systems are not structural, but they can play a very important role in keeping your building in the condition you want it to be kept in. On top of that, the right curtain wall system, such as the ones we offer here at Danpal, can make your building look better than it ever has before. Here are some of the things that you can expect from our curtain wall systems if you choose to have them installed. First of all, they are very lightweight and translucent. The fact that they’re lightweight doesn’t stop them from being protective. The materials used to create our curtain wall systems are strong, durable and flexible. They can be installed very quickly and easily because of the lightweight and flexible nature of the structures. The concealed joints used mean that the exterior will remain flush and can adapt to whatever shape necessary. You will have control over the curtain wall system that you order from us. We have a huge variety of colours on offer for you to choose from, and the finishes and special effects provide you with an even greater level of freedom and flexibility. You can choose a curtain wall system that is as simple or as creative as you want it to be. As mentioned above, the shapes of the systems are also adaptable, so it should be no problem meeting your particular needs. 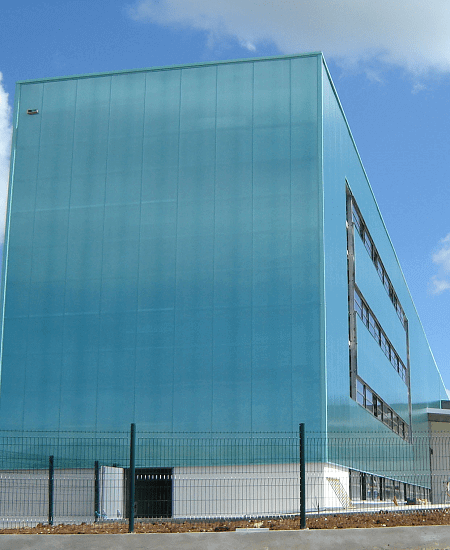 Because the curtain wall system you put in place will be the first line of defence against the elements, it needs to be strong and able to resist impacts. Our systems do exactly that, boasting a very high impact resistance because of the microcell structure our products are designed with. Impact and hail damage will all be resisted by the structure, offering peace of mind for you as the owner of the building. The overall strength of the curtain wall system you choose will be top rate. Security is another important thing to keep in mind when choosing a curtain wall system for your building. It has to be able to remain secure, in place and deal with a high load resistance. Our systems are able to do this thanks to the double click locking seam that we use to install the curtain wall system you choose. This simple mechanism also makes the systems easy and fast to install. The installation will be cost effective, and no major disruption will be caused, which can be very important for many people.